Gilchrist Connell has joined a global law firm network. The national insurance-specialist law firm has become the only Australian law firm to be a part of The Harmonie Group. The partnership boosts the firm’s global reach and its capability to service clients in international markets, Gilchrist Connell said. “We were delighted to accept Harmonie’s invitation to join forces with over 100 like-minded firms in more than 30 countries. As the only Australian firm in this group, we are in a unique position to offer our clients a greatly expanded information and ideas network, and the resources available from access to thousands of lawyers from highly qualified firms around the world,” said Richard Wood, Gilchrist Connell managing principal. “We, in turn, are looking forward to helping open doors in Australia and expanding the knowledge and understanding of our local market via our five capital city offices around the country,” he said. 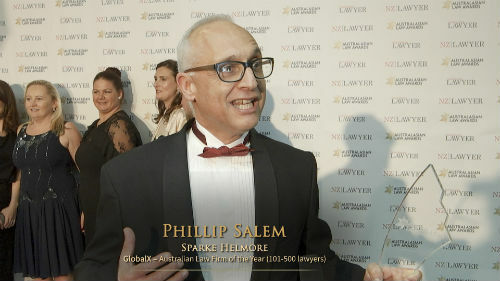 Founded in 1992 at the Harmonie Club in New York City, the invite-only law firm network connects high-performing law firms across the Americas, the UK, Europe, and Asia. It provides a forum for the exchange of ideas and the better understanding of circumstances and concerns facing clients and firms in the risk industry.